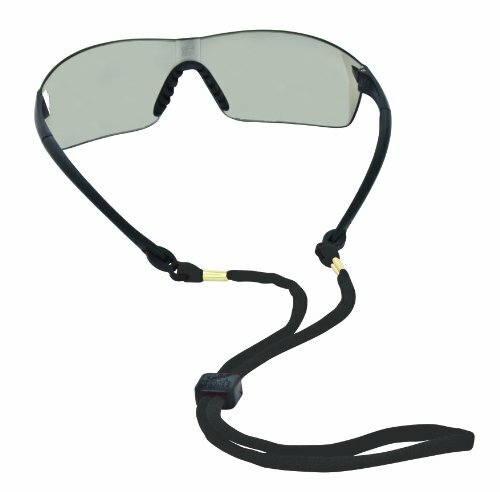 Chums Safety double breakaway cotton safety eyewear retainer. The original cotton retainer with a dual reconnecting breakaway for safety. Quality, comfort and the ability to fit most standard frames and an adjustable slider bead for superb fit. Machine washable. For standard frames. 100 percent comfortable cotton with double breakaway buckle. Bead adjusts for superb fit. Field tested eyewear, sunglass and eyeglass cord. Black color. View More In Eyeglass Chains. If you have any questions about this product by Chums, contact us by completing and submitting the form below. If you are looking for a specif part number, please include it with your message.